Home Remortgage Remortgage or a secured loan? Remortgage or a secured loan? What’s more beneficial, a remortgage or a secured loan? Our mortgage advisors are often asked this question, so we’ve prepared this article to be as informative as possible. As circumstances will vary for each individual case, there isn’t one answer for all. The information below will explain remortgages and secured loans in greater detail. This will allow you to assess which option may be more suitable for yourself. 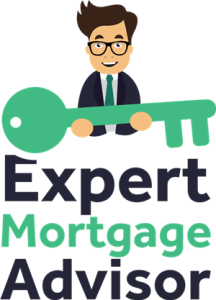 Our expert mortgage advisors are also available to answer any questions if you’re still unsure. You can call us on 0800 195 0490 or make an online enquiry. A secured loan is where a lender will place a legally binding charge on an asset in return for a loan. The lender secures the asset as a security measure in the event that the loan is not repaid. A secured loan is secured with what’s known as a second charge. The first charge will usually be secured by your lender who you have a mortgage with. Some lenders will allow multiple charges to be added in addition to their own. If your current lender agreed to provide you with a secured loan, they wouldn’t place a second charge on your asset. A secured loan from your current lender would be known as a ‘further advance’. The benefits of using your original lender are that they may be more inclined to offer you better rates as opposed to a new lender coming on board. This isn’t always the case, so do check what your current lender is prepared to offer you. The rates for any additional charges will generally be higher than the rates on your original charge because of the attached risk that the lender is taking. There’s a lot of risks involved for additional lenders because the first lender who placed the original charge on the property will get the first refusal of any equity if the property is repossessed and sold. Any lenders that remain will only get a share of remaining funds. There is a chance that there won’t be any funds remaining and in cases where this happens, lenders won’t receive any funds back at all. When should I consider a secured loan? As each person’s circumstances vary, there isn’t one answer that’s suitable for everyone. Nonetheless, our expert advisors have described common situations below where secured loans may be more favourable to remortgaging. If you’re already on a great mortgage rate, it may not be wise to remortgage, especially if available rates are higher. This is usually the case with old variable rate mortgages that were originally taken out a number of years ago. As interest rates were higher back then, variable rates followed the Bank of England base rate and had little, if any of their own rates attached. As the Bank of England base rate decreased over the years, this meant that lenders had to increase their own rates in addition to the variable base rate to make lending viable. If you have a great mortgage rate but need further finance, a secured loan may be an option to consider. If you need to raise funds for 95% of the value of your property, a remortgage wouldn’t be sufficient. Remortgages will generally only go up to a 90% LTV and that’s only in certain circumstances. There are lenders who can offer a 95% LTV in the form of a secured loan. 95% LTV products are usually only available to applicants who have straightforward circumstances. Life can be unexpected at times and savings can plummet unexpectedly. If you need finance as a matter of urgency, then a secured loan may be the only possible option. Secured loans can be approved pretty fast. If your loan to value is small and the lender is happy to proceed without a valuation, funds can even be released on the same day. Typically, secured loans will take longer than this but in almost all cases, will be faster than getting a mortgage. If you’ve recently become self-employed then mortgage approval will depend on your own individual circumstances, such as if you have at least one years’ accounts or have future contracted work. If you don’t quite yet have one years’ accounts or have recently changed the structure of your business, getting a mortgage may be difficult. Our expert advisors can check to see if you qualify for a mortgage. If you don’t qualify then a secured loan may be your next option. With newly self-employed applicants, lenders tend to offer more flexibility with secured loans as opposed to mortgages. Lenders may accept figures on turnover instead of net profit. If you haven’t yet filed accounts, lenders may accept bank statements as proof of income. This is particularly useful for self-employed applicants who declare a very low net profit. Having bad credit doesn’t mean that you’re not eligible for a remortgage. 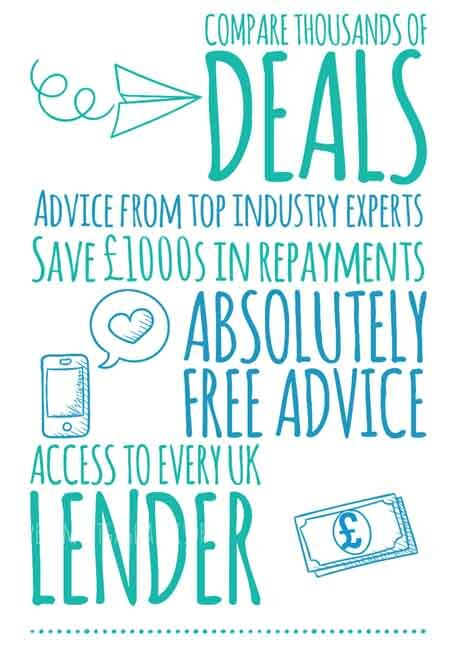 Our expert advisors secure remortgages on a daily basis for applicants with adverse credit. Again, like all mortgages, each assessment depends on your individual circumstances. That being said, it’s possible to get a mortgage with issues such as bankruptcy and CCJs. It all depends on various other factors such as when your bad credit issues occurred and how much deposit you can put forward for instance. Secured loan lenders tend to offer more flexibility when assessing applicants with adverse credit, as opposed to mortgage lending. Secured loans can be offered with lower deposits also. It’s always best to speak with a qualified mortgage advisor to discuss the options available and the possible routes to finance. Anyone looking to remortgage should always consider the traditional method of remortgaging first. The rate of borrowing is cheaper almost all of the time when compared to secured loans. Always aim to at least get some remortgage quotes before considering secured loans. If you’re struggling financially and need a financial boost, then a secured loan may be your only option. Consult an advisor who understands the market and has access to specialist lenders who offer both mortgages and secured loans. Your advisor can then demonstrate each product and inform you of their advantages and disadvantages and recommend certain products based on your circumstances.